I was in Dallas about a month ago and the scooters were strewn everywhere. Not saying that will necessarily be the case here. Anecdotally I was in DC and San Diego and they were rarely in the way. 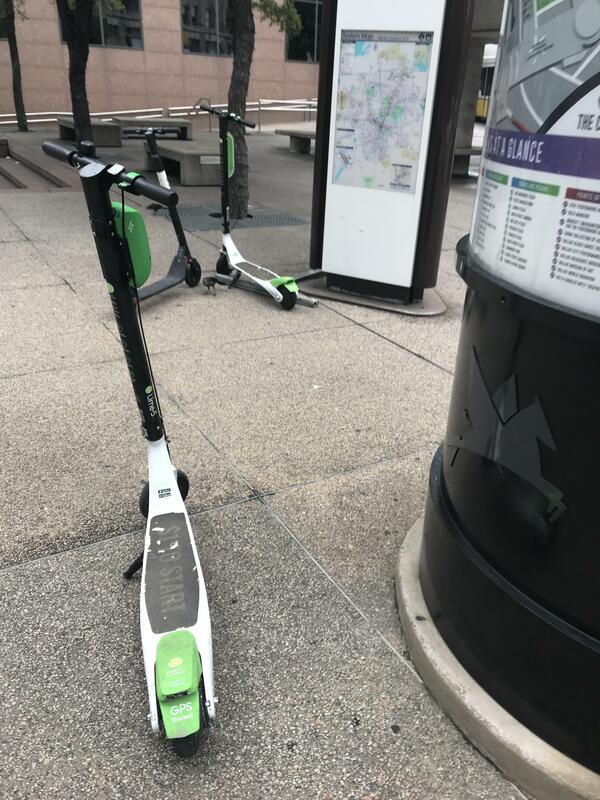 In DC, I was actually frustrated because there were numerous times I wanted one to make the 13 minute walk to the metro only take 5, but the closest scoot was like a 7 minute walk as it is. I was up North a few weeks ago and they were everywhere. A massive mess of scooters. I also saw people using them everywhere and it seems like a great idea and tool. It just seems like they are obnoxiously littered around town between uses. We kept almost tripping over them. South Park made an episode about the lack of scooter etiquette. 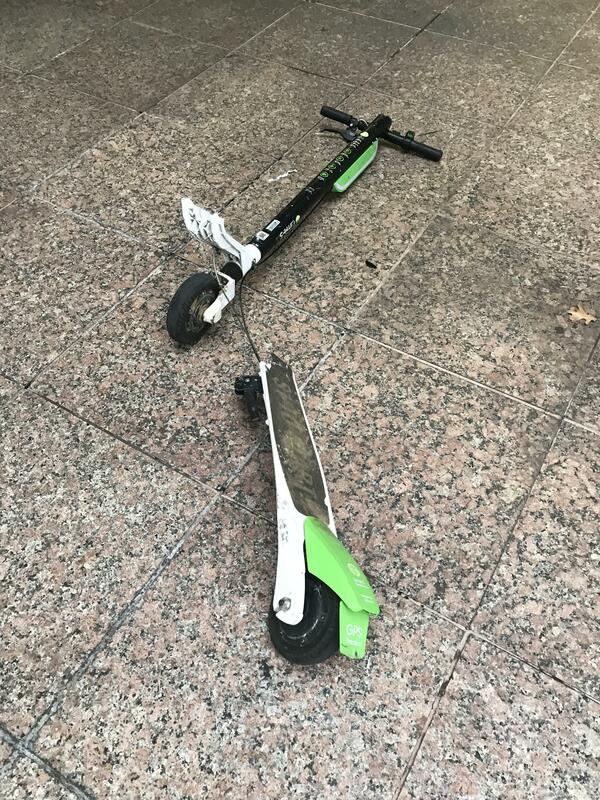 Mr Mackey becomes "The Grinch", collects all the scooters in town and dumps them off a mountain into the abyss. 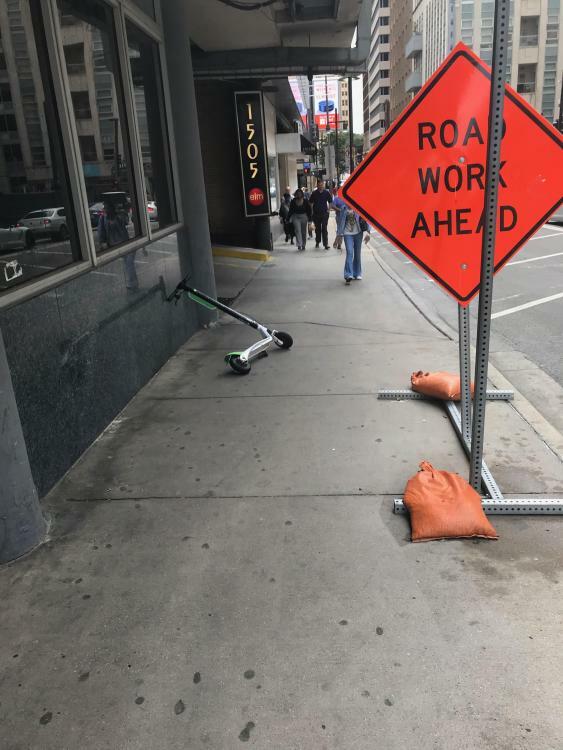 I've read articles about cities rounding up scooters and impounding them since they are carelessly being littered in public areas. IMO anything dock-less is bound to be abused -- especially when there is no way to hold people accountable for their actions. My office is in uptown and the Lymmo doesn't come nearly frequently enough and doesn't go far enough downtown for lunch. A bike ride is perfect. Sorry I meant Naqiy who is connecting from a bus. I agree about bikes being better than LYMMO and would love to see the Lymmo lanes become marked as Lymmo/bike lanes. Of course we’d need dedicated lanes in NQ too. I live near Lake Underhill and commute from UCF, there's hourly bus service but it's faster to use one of these for the last mile instead of connecting from 50. Great idea about dual use LYMMO/Bike Lanes; in Denver the 16th street mall is a dual pedestrian and bus street which I loved. There are Lime bikes at Lake Como Park. Juice had temporarily had docks at Barley and Vine and over in front of the now abandoned Walgreen's on Curry Ford. I don't believe they're there anymore. I'm curious if Lime will end up in my yard given that there's a bus stop in my front yard. Per Bungalower, Jump (Uber) will be launching as early as next week. Third bikeshare system in town. Lyft is on deck. Can cyclists, motorists and developers all coexist in Lake County? Cady Way Trail Resurfacing is taking place between Cady Way and Summerfield. Right now the whole trail is milled and it was quite awful to ride on. Heads up if anybody else takes that route regularly. Thanks. 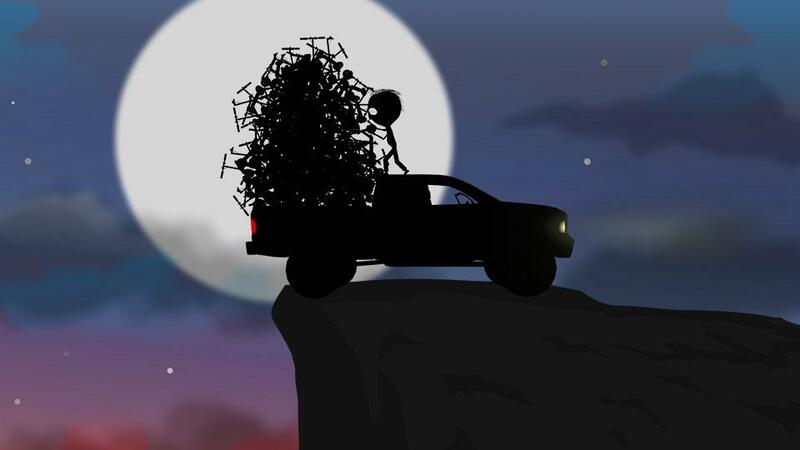 I'm going that way tonight. OMBP currently building new Single-track addition, with new trail expected to open this month. Great job to the volunteers helping to build and maintain this local Mountain Bike park. It isn't the best park in Central Florida yet, but we keep trying to improve it to make it better! New Cady Way pavement is done and it is smoove like buttah! I thought that was there a while ago? There's one on the OUT at Lake Highland Park, so maybe thinking of that one. 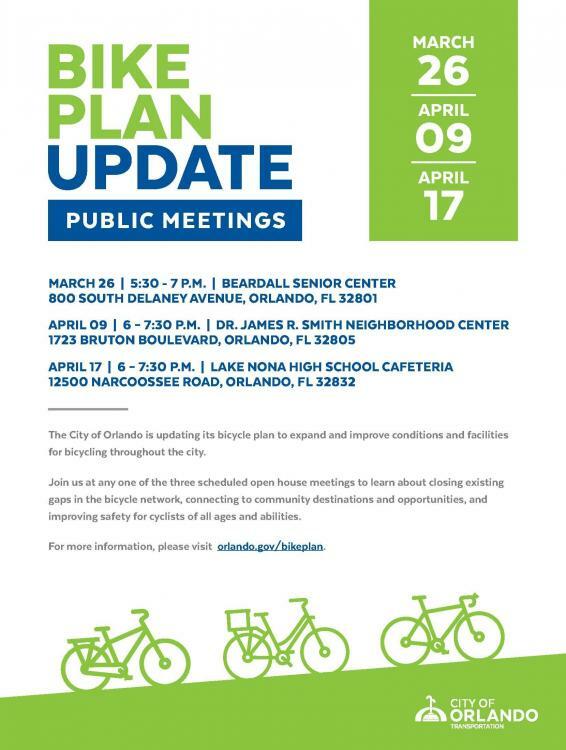 There is a Bike Plan Update meeting scheduled for today at 6 P.M. (It's way out in Lake Nona though, go figure). This is the last of 3 open house meetings to discuss the City of Orlando and Orange County Bicycle Plan and discuss completion of gaps for conncectivity. If anybody can attend, please discuss the remaining gaps we all are hoping for, such as the OUT gaps we have discussed previously on other thread, and the Bicycle Beltway/Downtown Connector/Maguire-Airport Gap and the "Greenway Gap" upthread that is supposed to connect the Cady Way/Baldwin Park trails to the Little Econ Greenway. So its been about 10 years since the Blue Line opened and Charlotte has spent a significant amount of energy talking about how to make the city more walkable and less car dependent. As I think about the walkable portions of Charlotte (Dilworth, Southend, PM, Wesley Heights (needs a grocery store), NoDa, etc.) all of these places were built before cars and they have merely been updated to accommodate modern needs. Try as I might I can't think of a single post-war neighborhood in Charlotte that has been made more walkable. Is there any neighborhood outside of the inner ring where walking to the store, school or transit is possible for more than a token few? The Blue Line created little or no change in the neighborhoods south of New Bern. Birkdale-like places seem much more like malls than neighborhoods to me and feel as isolated as a mall -- but I don't spend much time there so correct me if I am wrong. Brightwalk comes to mind as one of the best examples but AFAIK it lacks retail and is basically cutoff from any other neighborhoods by Statesville Ave and 77. LoSo is another place where people now want to walk, but it lacks the necessary infrastructure (sidewalks and transit access). We have even failed at connecting neighborhoods by means other than the car (e.g. crossing from Dilworth to Southend on bike or foot is still kinda hairy). So my question is what is missing from the development process? Is it zoning (e.g. lot size, sidewalk width, land use mix)? Transit? Traffic engineering (too many car sewers)? A combination of all or something else entirely? Ten years of experience suggests that we have not figured out how to make new walkable burbs -- is it time to give up? Would giving up be a bad thing? EDIT: am I being too pessimistic? Does new multi-family in places like Park Road / Selwyn make new walkability available to some? Please tell me I have overlooked some significant positive change somewhere. Report says project is scheduled to commence construction First Quarter of 2017. I can confirm that work has started with site clearing and pile driving. Crews flagged the area and removed multiple trees in the right of way for the project next to SteelHouse this month. I expect sitework to begin and we may see vertical construction soon. I will keep updates going as the project progresses, as I live in Steelhouse. Renderings below. Looks pretty cool. I just hope they can vary the colors on that Pylon and Ramp. Thought a thread for bicycle-related infrastructural and program developments seemed appropriate. Post any news related cycling in Richmond. Also, feel free to share any articles that were previously shared in broader threads here on bicycles. Just resharing the article on the bike-share program coming to Richmond because I came across another curious article (see 2nd link) on how Milwaukee's bike-share program teamed up with their Housing Authority in order to ensure accessibility to lower- and low income neighborhoods. While I really want to discuss the mass transportation needs, wants, and woes in Chattanooga, I would also like to see some life brought to this board, and this includes discussions away from residential development and pictures. Other potential site locations, according to WTVC U.S. Pipe and the Choo Choo. U.S. Pipe certainly has opportunity, but through talking to some I know, not only are the residential plans moving forward off the S. Broad spot, but the Lookouts are unofficially eyeing the area. I like the idea of the center being downtown, but I am privy to it being in midtown, off central somewhere between Bailey and McCallie. Efforts have been underway to increase complete streets in the city. We already have a pretty successful bike share system downtown, but recently bike lanes have been added or improved. Veterans Bridge had the lane solidified to meet up to Barton Ave, N Market was just narrowed to two lanes with bike lanes each direction painted, Broad Street currently is having curbs put up to protect the new lanes, and Cherokee may potentially be getting protected lanes. These efforts are to follow into the city. Hwy 158 has been undergoing sidewalk additions, and East Ridge is currently working on their own street improvements. Hold onto your seats, ladies and gentlemen, because Chattanooga may have a LR coming soon. Compared to other cities, the cost for the LR - using preexisting rails and creating a few new miles of track - will just be pennies in the bucket. From my understanding, support is being sought before they formally begin the process. The LR could change many things for the city. Most notably, class mobility as transportation has been a huge problem for the inner city community. Though with the cheap land and convenient transportation, we could see a lot more gentri Central -> Missionary Ridge, which would confound the problem. We cannot forget the record growth the CHA airport has been having. Parking is currently under expansion, new routes (direct -> LGA and IAH), cheap fares, and new aviation company planting roots. Great to see the airport better serving the community (and poaching N ATL customers). We would all love parking decks at Lovell Field, but we also all know there isn't near enough a demand for that. Down the road, for sure. Maybe when another terminal opens after we eclipse 400-550k enplanements. TN legislators are still upset about the FCC knocking down state line restrictions for municipal broadband, but these battles could be over pretty soon. EPB is being a nice service and not expanding out of their 600 sq mile area, even if they lawfully are able to now. Interesting to note, if only economically. Infrastructure is infrastructure, and currently Chattanooga has one of the smartest grids in the world. I think this just about covers it? Outside of course our electric shuttles downtown, which I hope they eventually expand further as the density increases outside the core of Riverfront-City Center districts. I love Nashville, and though Chattanooga has a long way to go to reach its congestion (though the city is a major US thoroughfare, especially with freight traffic), I am glad to see the city playing the long game by working to deal with traffic issues through multi-modal & complete street initiatives until we have to, like with Nashville. Urban (& smart) planning are always draws to tourists - look to Philadelphia, Boston - so this type of proactive growth can further have impacts on our growing hospitality industry. It already has (think Vanguard) in many different ways, but density and transportation has a way of strengthening a city's growth all its own. What do you think about where the city is going?